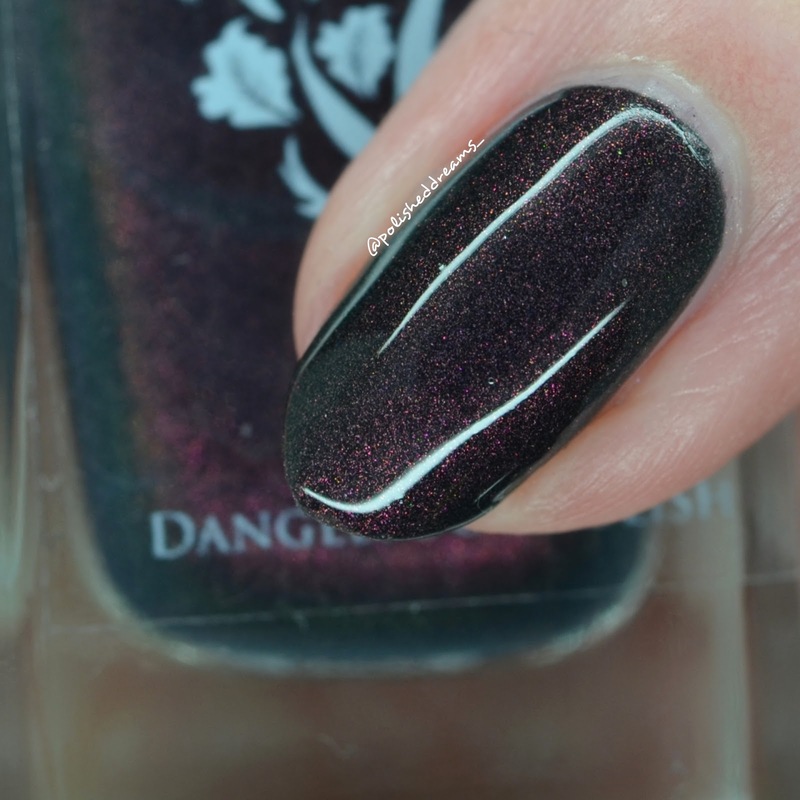 The first polish I have to show you is this beautiful thermal named 'Live Long and Prosper'. 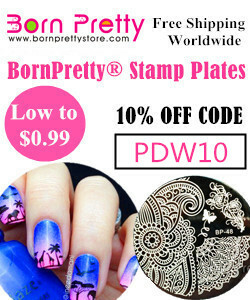 It changes from a very deep blue when cold to a stunning cornflower blue when warm. The best part is definitely that red shimmer you can see running through it! This was a dream to apply and this swatch shows three thin coats with topcoat. 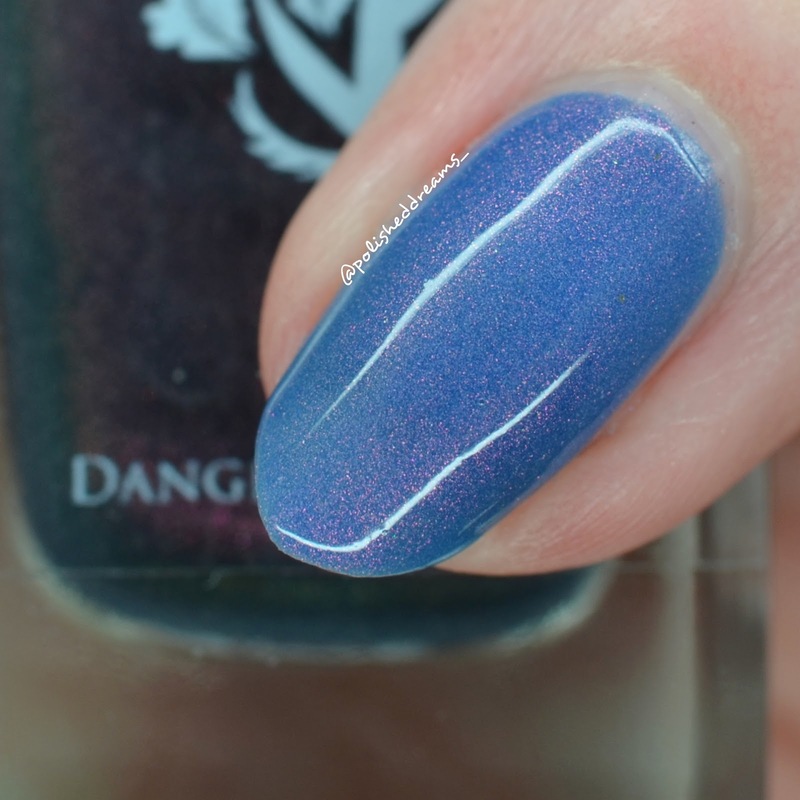 If you don't mind the nail line showing through slightly when it's blue then two coats is perfectly acceptable. The next two polish are probably my favourites of the four...they're just all my favourite things combined! First up is 'Guinan' a multichrome polish that shifts primarily between purple and blue with added holo flakies. 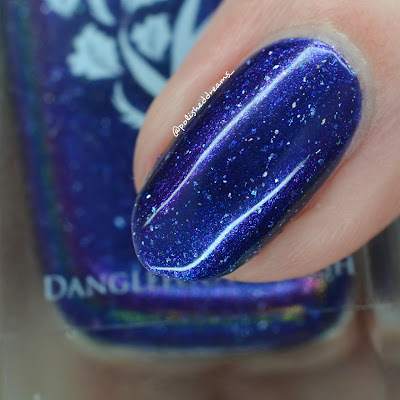 This is a pretty perfect polish for a space themed collection if you ask me! I really struggled to get a good photo of the purple shift, both on my camera under different lights and on my phone so if you have a look on my Instagram, you'll find a short video. Swatch shows two coats with topcoat. 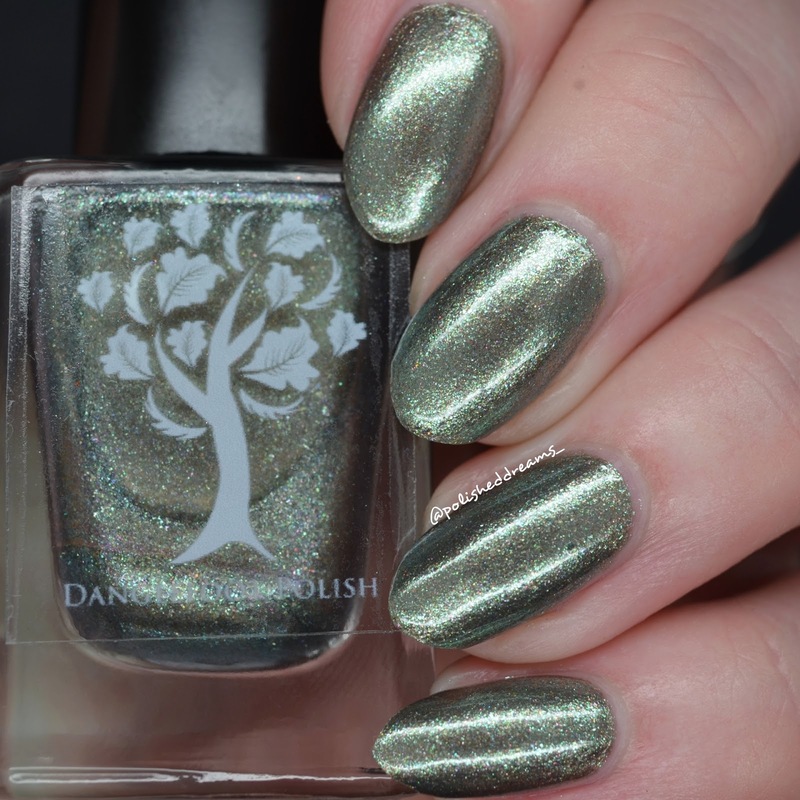 The final of the four polishes I was sent is 'Beam Me Up Scotty'. 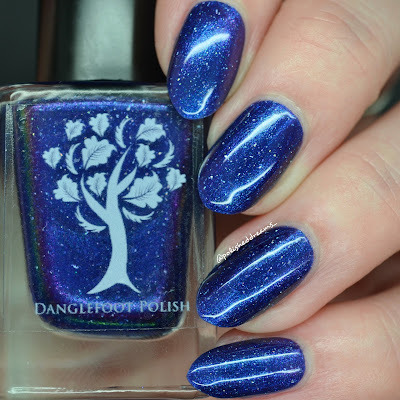 This is a stunning sparkly polish with a holo flake base, blue shimmer and blue/purple multichrome flakies. What more could you ask for really? I've been wearing this all weekend and I absolutely love it! The best part is is that it's so easy to remove. I almost expected it to be like a difficult glitter polish but actually it came off easier than some cremes! 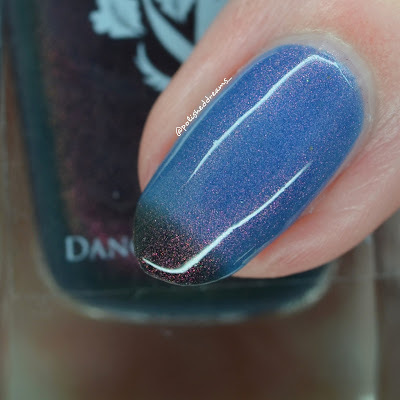 This swatch shows two coats with topcoat. So, what do you guys think? I love these polishes and I'm so excited for the collection to release so I can grab some of the others! That's right, there's still another four polishes in the collection! 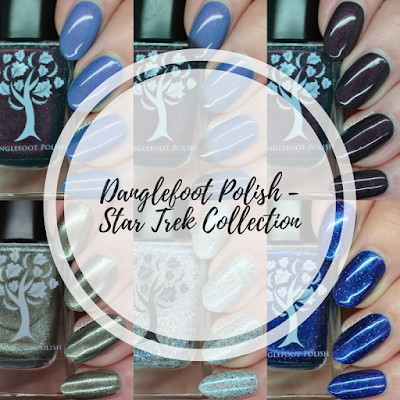 Hayley will be reopening the shop this Wednesday 31st of January and not only will she have this new Star Trek Collection, but also a ton of other polishes available too! 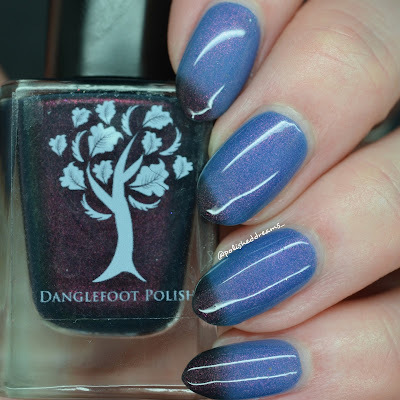 Keep an eye on her Instagram to see the other polishes that will be available and opening times. You do not want to miss out! 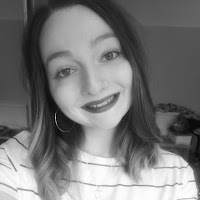 Thank you so much to Hayley for sending me these, you've done an amazing job as usual and I really couldn't be happier.